The world's largest largest cross platform messaging services provider, WhatsApp has finally woken up to the challenge from its Chinese peers namely Tencent, and announced a update for WhatApp for all phones. The latest update allows you to send and receive unlimited short voice and video messages across all phones. The company has announced that it reached 300 million monthly visitors who are active. 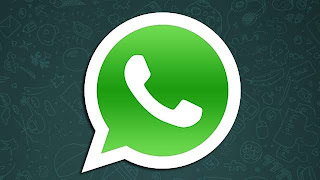 India, Germany, Mexico and Spain rank among the highest active user base for the company and to celebrate this huge achievement, WhatsApp has released the above said update. The company has said that the update is being rolled out to all phones supporting WhatsApp. Only the updates are slowly being rolled out so do check out the date of the update(recent date means that the App has been updated to include the voice and video messaging).